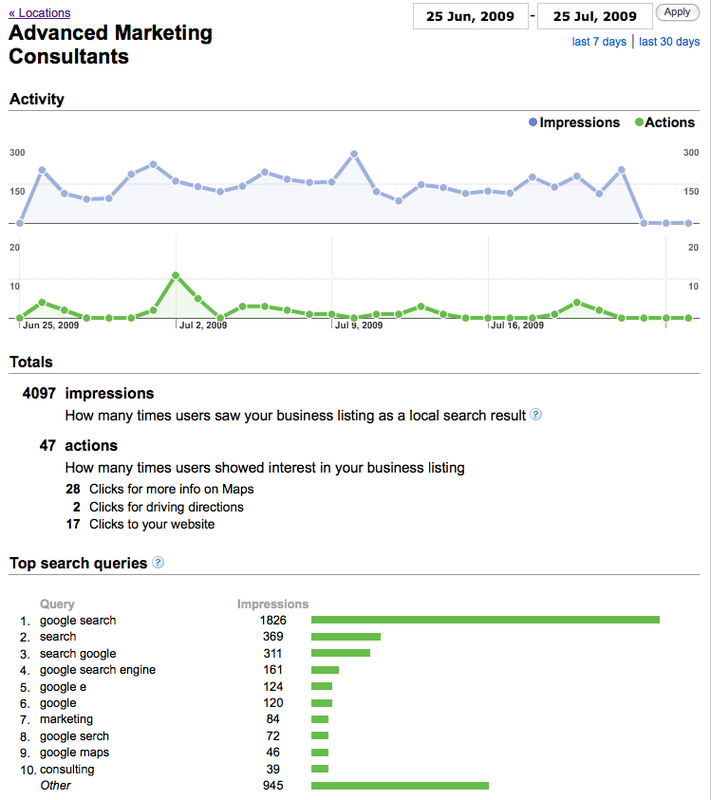 This blog: Search Marketing Communications generated its third highest month in terms of traffic during November 2008 with 9,179 views. 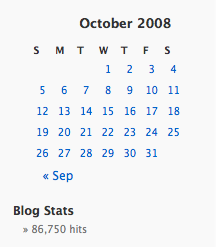 Previously, this WordPress blog’s highest trafficked month was September 2008 with 22,897 views. Roughly 40% as many views occurred during November 2008 as compared with September 2008, however combined traffic totals from September, October and November 2008 have generated 43,740 views – or slightly over 45% of all blog traffic received since inception. 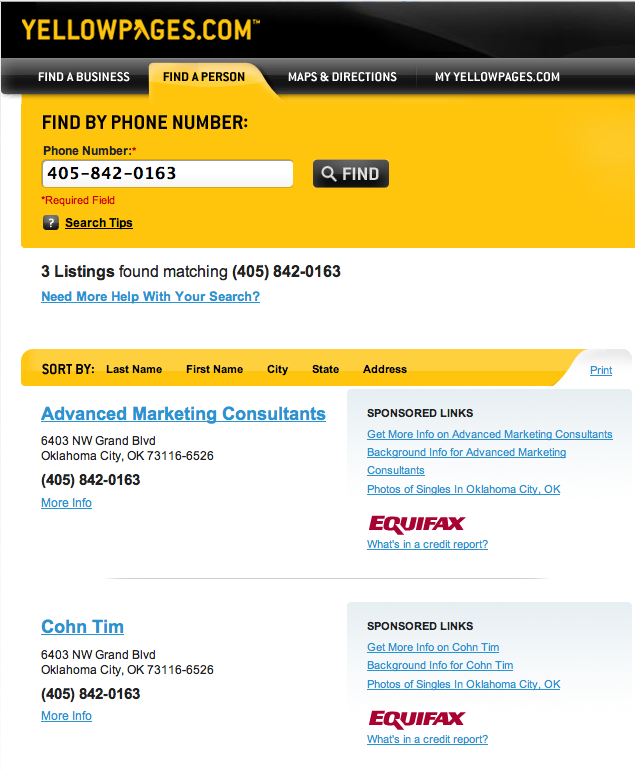 By the end of November 2008, cohn.wordpress.com had been viewed 95,839 times since its launch in September 2006. 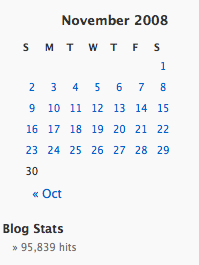 In its first month of existence this blog had 1,593 total views. November 2008 traffic was approximately 6 times greater than September 2006 traffic. This blog: Search Marketing Communications generated its second highest month in terms of traffic during October 2008 with 11,664 views. Roughly half as many views occurred during October 2008 as compared with September 2008, however combined traffic totals from these two months alone have generated 34,561 views – slightly over 1/3 of all blog traffic received since inception. 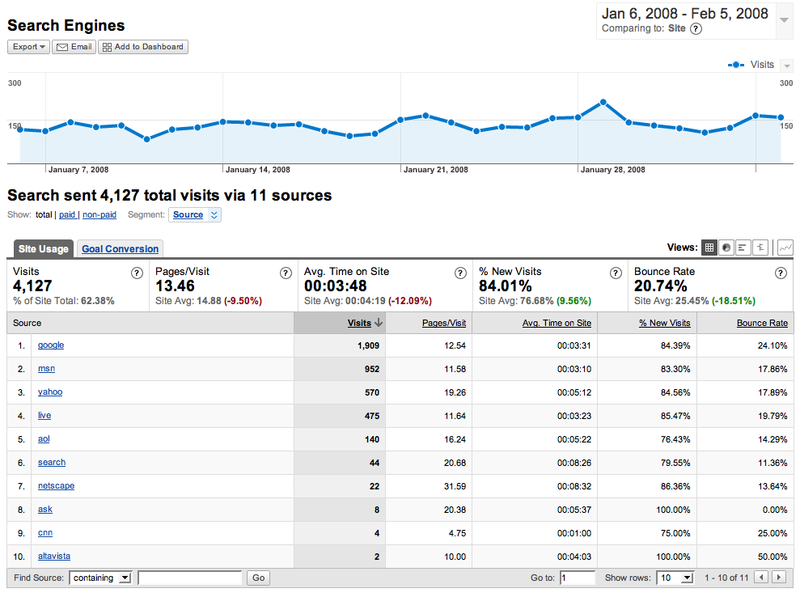 By the end of October 2008, cohn.wordpress.com had been viewed 86,750 times since its launch in September 2006. October 2008 traffic was 7 times greater than September 2006 traffic. There are many tactics search engine advertisers can use by design to either induce searchers to click or not click on their ads until after the ad viewer has self qualified their interest in the advertisers’ message. 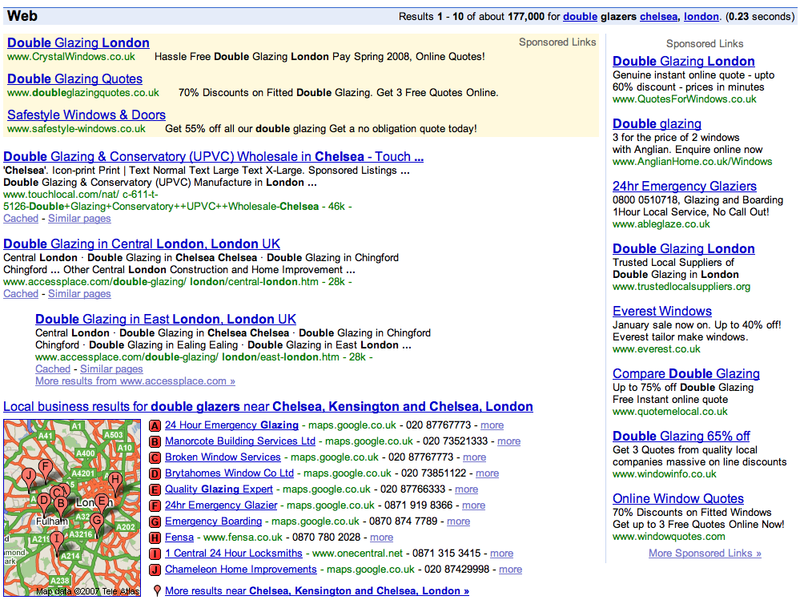 Placing an offer’s price in the ad is one tactic often discussed. Placing a lower price than other visible or known offers can reduce pay per click ad friction with its audience and tends to increase an ads click through rate. However, placing low prices in a pay per click ad doesn’t necessarily translate into more qualified searchers or buyers nor will it translate into high transaction volume. Another tactic not mentioned as often is placing high price points in the pay per click ad which increases click friction. High price points within pay per click ads purportedly dissuades dis-interested and the budget conscious from clicking through to view the advertiser’s offer. Today, I came across the most extraordinary example of an advertiser’s use of premium pricing to qualify search traffic I ever recall ever seeing. 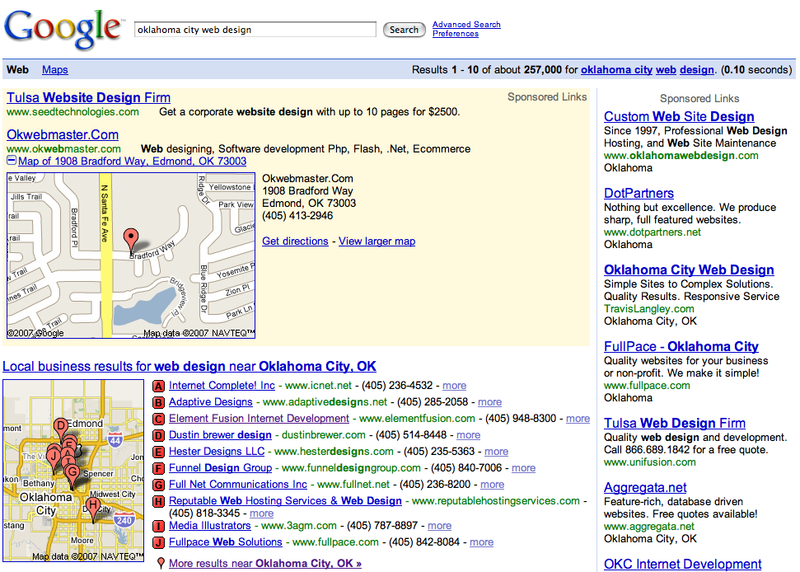 Theoretically, in this example placing their minimum annual fee requirements of $150,000 in the ad would create click friction and cause searchers unwilling to spend $150,000 a year to pass the ad over – thus sparing the advertiser unwanted clicks and costs from disinterested searchers. However, by placing such a high barrier into their ad this particular advertiser will more than likely experience extremely low click through rates which in turn will create the ultimate form of pay per click advertising friction for instead – the advertiser… lower click through rates, lower ad quality score and ultimately an ad that requires higher bids just to be shown at all. Will the above example prove to be a successful marketing strategy for the advertiser or will their ad’s premium pricing cause fewer clicks and lower click through rates – ultimately bringing their pay per click advertising campaign to a screeching halt? 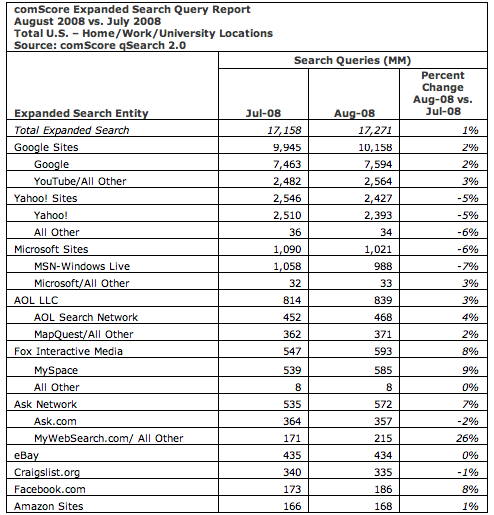 Via Hitwise: Google’s share of US searches exceeeds 70% for the first time. 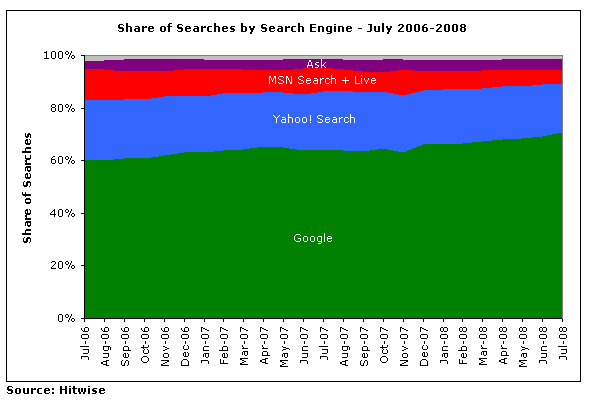 Combined with last month’s milestone which saw Google field 7 billion searches within a single month according to ComScore and in the absence of any new disruptive and innovative search appliance, Google looks to continue its arithmetic assault on Yahoo, MSN / Live and Ask’s share of US search traffic. Google global search traffic patterns over a twenty four hour period. 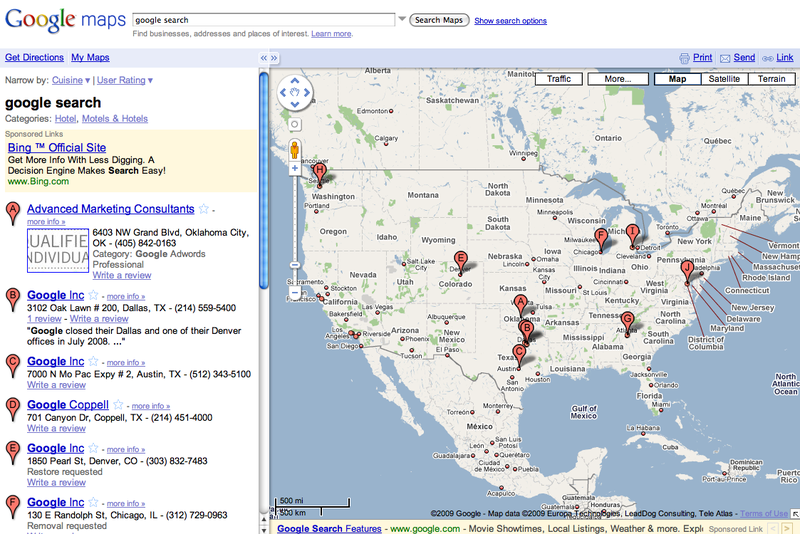 Here are three of my favorite resources for making your own Google maps. Map Builder – build your own maps.